We are pleased to display artwork from the very talented Leah Limpert Walt, a Fine Art student at the Pennsylvania College of Art and Design. Stop by the cafe to see more. Revolution was founded with the purpose to build relationships and community. Their beginnings were simple - to come together as a group of women with a heart to love their neighbors. This beautiful experience became much more; and a social enterprise was born. Revolution began setting up workshops to teach women the craft of jewelry making – allowing them to generate income, grow in self-confidence and build hope for the future. It is through times of crisis that supportive community is needed most. That is why Revolution exists. "With a personality as vibrant as her paintings, Belgium born artist Christiane David has taken art to a new level in Lancaster County. Walking into her Lancaster gallery on Prince Street is like walking into an enchanted world of color. Filled with an eclectic array of watercolors, acrylic, and oil paintings, it is no doubt one of the most vibrant colorful galleries you’ll find anywhere. Regardless of the medium or the subject matter, every painting large or small is a dramatization of color, texture, and dimension." 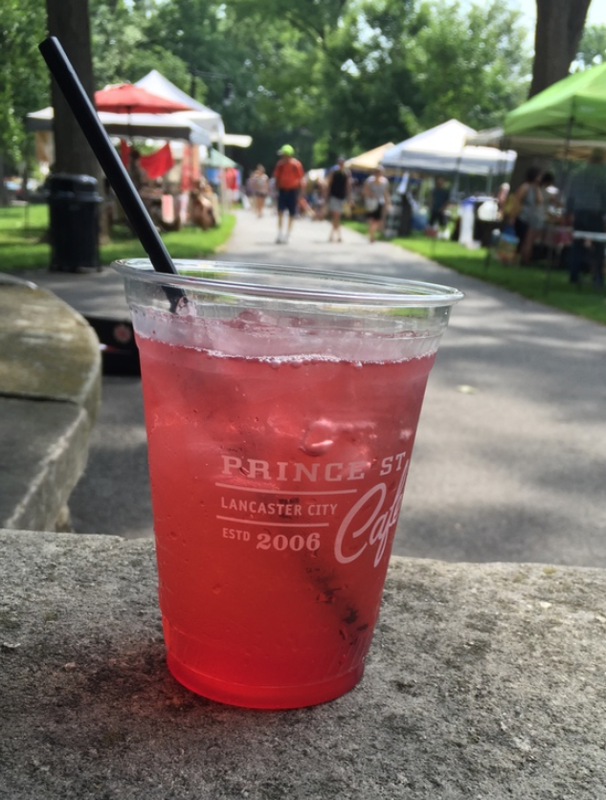 New York Times Travel writer Kathryn O’Shea-Evans mentions Prince Street Cafe along side our good friends at Ma(i)son, Thistle Finch Distillery, Lancaster Central Market, and PhotOlé in her article "Amish Country Embraces Farm-to-Table". Lancastrians pack into this 19th-century, brick-walled storefront overlooking the Fulton Opera House for its locally roasted coffee and Lady Grey tea lattes with house-made lavender syrup.